The benevolent dictator of The Menagerie has been out and about this month. She claims it’s all scouting to find the best possible talent for the show, but we know she just likes attention. 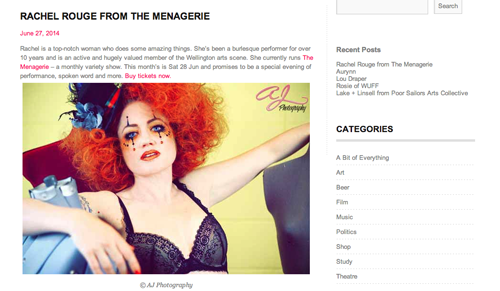 Rachel was interviewed for the fantastic local website The Oh Four, you can read the full interview here: theohfour.com/2014/06/27/rachel-rouge. The gorgeous photo of Rachel is by AJ Photography. 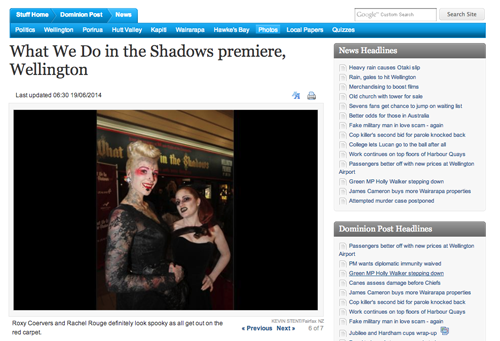 Rachel attended the What We Do in the Shadows premiere in Wellington with the fabulous Roxy Coervers. It’s a great movie, if you get a chance you should check it out. 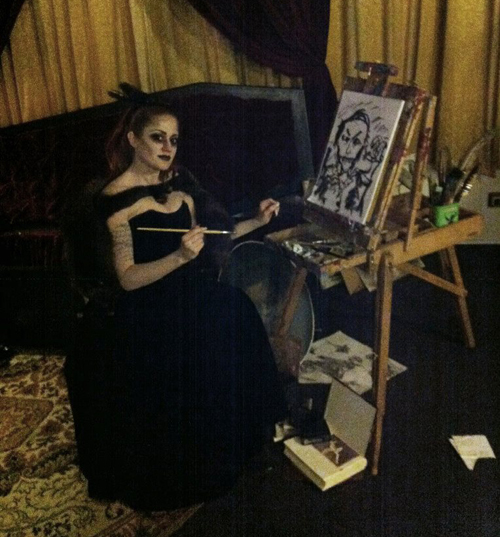 She even got a chance to do a spot of painting while she was there. 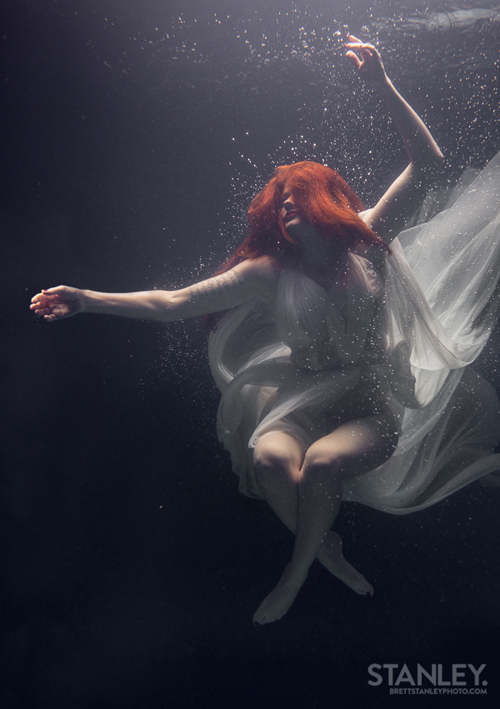 Rachel recently decided to go swimming in evening wear as part of a wonderful photo set by the very talented Brett Stanley. Brett is amphibian, he captured these shots without oxygen tanks.